Communicating results of our research to other scientists is essential, it allows others to critique it and make recommendations, build on our work and make decisions about how to manage issues based on the results. Scientists communicate the results of their work in documents such as reports and scientific articles and also at conferences as talks and posters. Recently I presented the first results from the Earthworm Watch survey at a conference in Liverpool. This was the British Ecological Society (BES) Annual Meeting which is a large multi-day conference held in a different place each year, which brings together ecologists (scientists who study the relationships between living things, their environment and each other) from across the UK and beyond. The BES Annual Meeting includes longer talks or plenaries and shorter talks like the one I presented, organised into themed groups called sessions. Because it is such as large conference (over 1200 attendees!) these run at the same time, although it is encouraged to stay in the same session rather than run back and forth between them. I presented in the citizen science session which also included results from citizen science projects on bats, butterflies, freshwater and more. After each talk there is the opportunity for the audience to ask questions – that is always the scariest bit for me because I worry I will not be able to answer well but this time it was fine and it was great to see so many people interested in Earthworm Watch. In addition to talks there are workshops where groups work together to work on solutions to problems, discuss issues in science or receive training in computer techniques, careers advice and more. Evening events usually consist of a poster session which are liberally supplied with refreshments. Scientific posters aim to concisely illustrate your work and the author is expected to spend some time standing by the poster to explain the work and results. One of the conference days includes an optional gala dinner and dance, which is where awards for scientific work, papers and for public engagement are given out. I was proud to receive an award for public engagement this year, for my work with BES and Earthworm Watch events. During the conference many of the special interest groups hold social events and this year there was a comedy Science Slam event held at a local comedy club. The event invited researchers to communicate their research in an entertaining way and was a fantastic evening. There is also the (in? )famous Christmas jumper day when attendees are encouraged to wear Christmas jumpers, hats and other attire. Sadly, I forgot my Santa hat and had to make do with Christmas socks! 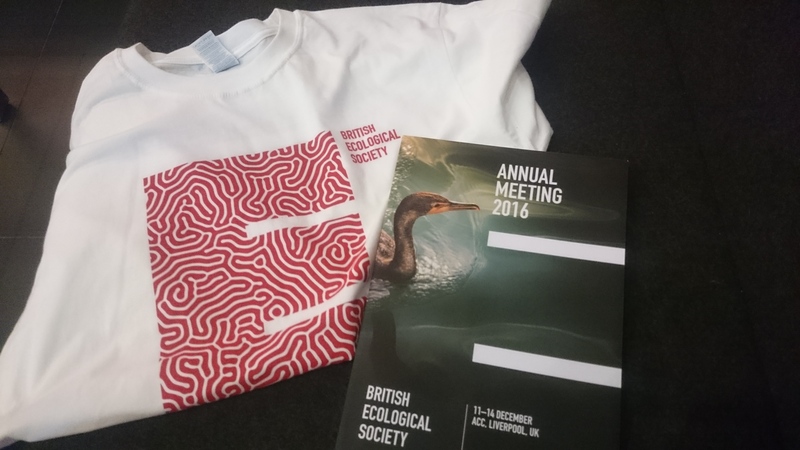 For more on what goes on at a scientific conference check out the hashtag #BES2016 on Twitter. And a big thanks to all our survey participants to collecting the data needed for my talk! 1Want to catch the worm - better hurry!